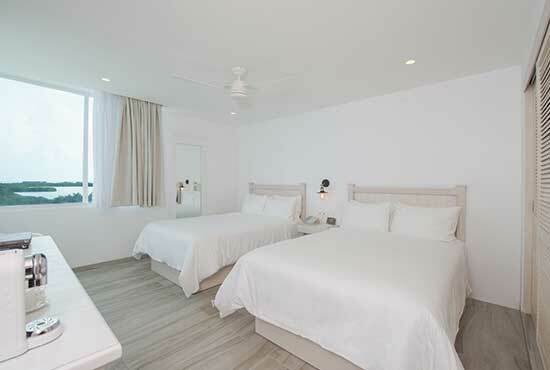 The 168 rooms stand out due to the chic minimalist style with which they were designed, the spectacular Caribbean ocean views, and the fantastic sunsets over Cancun’s Nichupte lagoon. 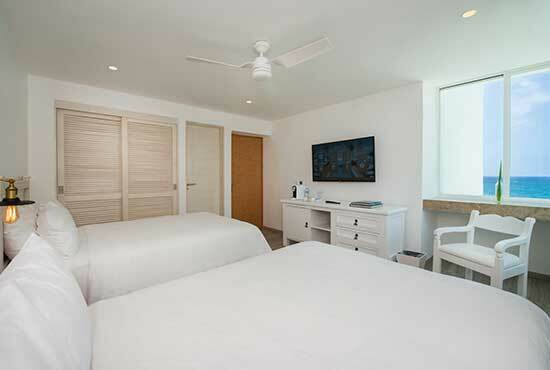 OLEO Cancun Playa features different room categories offering a comfortable and sophisticated stay in Cancun, with amenities of exceptional quality and fully equipped facilities. The relaxing vibe and cool atmosphere are part of an unforgettable experience in Cancun. The Standard King room keeps guests close to the action when it's time to have fun and far from the noise when it's time to relax. Convenience and privacy at the same place. 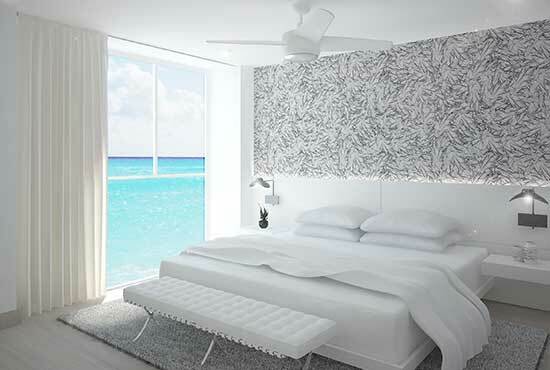 A world-class accommodation with a distinctive minimalist atmosphere. Room located on the 10th floor, with a small terrace. 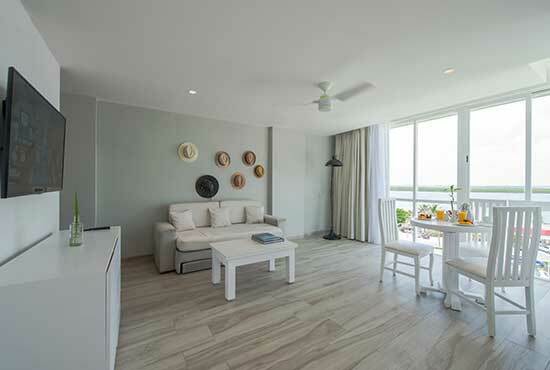 It offers a panoramic ocean and lagoon view from inside the room, the perfect environment for relaxing. The well-appointed, inviting Standard King 180° View offers first-class amenities in a chic inspiring setting. 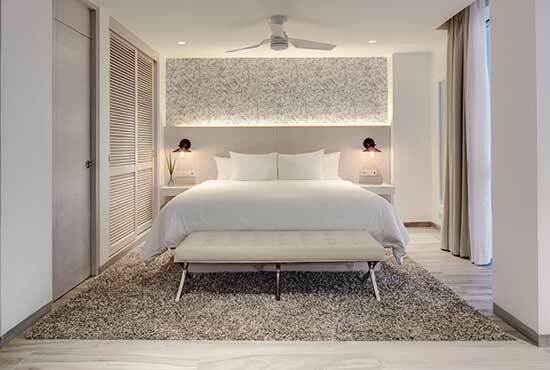 The spacious Superior Sunset room opens onto the silence and serenity of the Caribbean sea and the Nichupté lagoon, that embraces the entire Boutique Resort. The absolute comfort is completed by the fresh softness of the bed and the luxurrious furniture, modern in its lines and purity. An oasis of serenity, luxury and elegance. The view of Junior Suite Sunset perfectly embodies the unique Caribbean experience. With stylish furnishings and minimalistic decor, the spacious suite offers the first-class INSPIRA Suites Service® experience.